Exclusive, one-of-a-kind, track rental for the 2017 racing season. 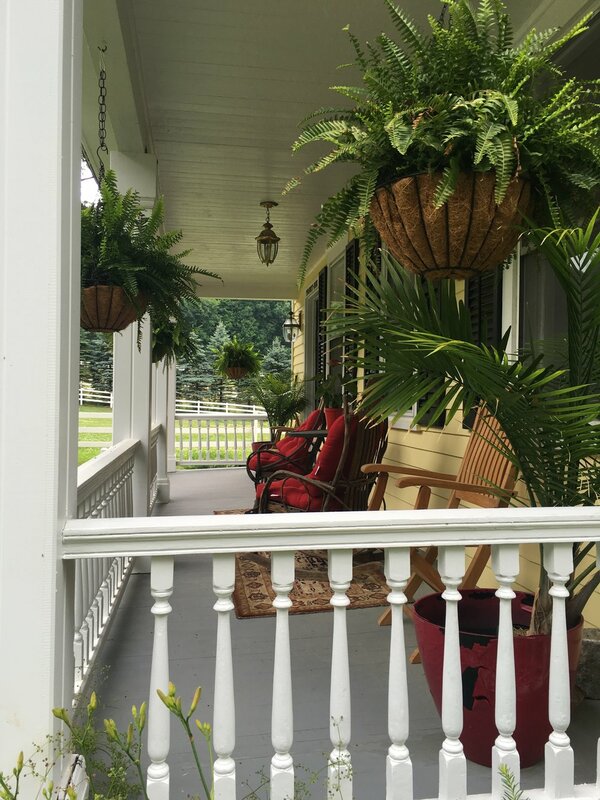 Locust Grove is a fully restored 1850's farm house situated on a private working horse farm, located within minutes by car to downtown Saratoga Springs and the Saratoga Racecourse. The gated, stone-pillared, cobblestone entryway is reminiscent of a Kentucky horse farm. This gentlemen's farm house is possessed of both nobility and charm. The house boasts 5 bedrooms including a spacious Master Bedroom which is furnished in a federal motif with 18th century furniture and original oil paintings. Locust Grove offers a sophisticated elegance which is without parallel as a track rental. The cedar-ceilinged room, reminiscent of a gentlemen's club, is a page from Ralph Lauren. This is a great house for entertaining. From the hand-hewn ceiling beams, to the 10-foot long 18th century banquet table in the marvelous country kitchen, to the meticulously furnished master bedroom suite, this property is perfect for those who understand special. Located just over a mile beyond the Saratoga Polo fields, 2 1/2 miles from the Saratoga Golf and Polo Club, and 3.2 miles to the center of downtown. The house features spacious front porch and back deck, which are flanked on the south side by a pond, waterfall, and a spring-fed well. The large deck, the width of the back of the house off of the kitchen, is great for grilling and outdoor entertainment. Though the Farm is convenient to the racetrack and the town's many attractions, it is truly like being in the country with an incredible calm and sense of relaxation. The house is beautifully furnished with slant-front 18th century desks, original oils, lithos, and bronzes. The spacious country kitchen with cabinetry obtained from a 1930's drug store in Louisville is counter-balanced by a 12 foot kitchen counter that was originally in a feed store in Lexington. The 18th century French banquet table seats 10. 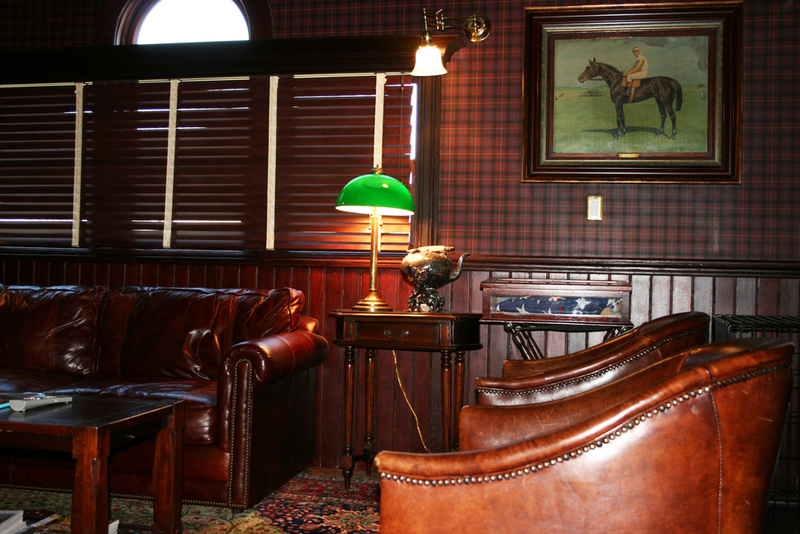 Whether you're handicapping the next day's card of racing, or enjoying Sunday breakfast, the setting is perfect. Saratoga Meets rented Locust Grove with their families. If you're looking for the most wonderfully unique rental in Saratoga for the track season, look no further.